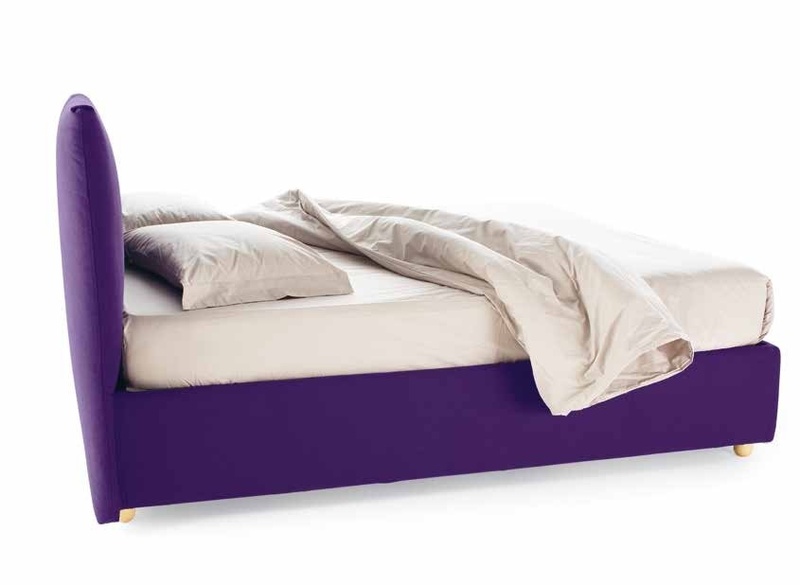 It Interprets the textile bed in a modern way, combining simplicity of design with large padded surfaces. The headboard, divided into two big cushions, is the component which allows a box base of high capacity with external, after all, limited volumes. In single or 120 versions cushion is single .